Labrada LEAN BODY For Her Peanut Protein, 3 Lbs. I can't wait for you to taste this! As you all know I love to cook, so when Labrada and I started developing ideas for new products, I knew I wanted something that would be Made with Natural Ingredients (of Course), but would also be very versatile and have multiple uses. Well, I think we nailed it! You are going to absolutely fall in love with this protein. First you can mix it into a delicious, tummy filling, Peanut Butter SHAKE that is packed with 20g of protein per serving. Or, you can mix a little water with a couple of tablespoons of powder and you get a smooth, creamy peanut butter SPREAD that you can put on a slice of toasted wheat bread. And, one of my favorite uses is to use as a TOPPING by taking just a teaspoon of powder and mixing it with my yogurt or oatmeal. Let me tell you, you'll be thanking me later! As mentioned before it's Made with Natural Ingredients and contains 20 grams of protein per serving, derived from defatted peanuts. It only has 5g of sugar per shake and completely Vegetarian Friendly. 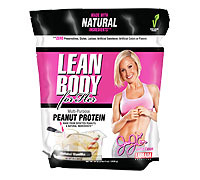 Lean Body for Her Peanut protein is also Gluten & Lactose Free. Peanut protein powder is a multi-purpose protein drink mix, made exclusively from peanuts. Unlike other peanut butter protein drinks on the market, which tend to be flavored whey or casein, this protein contains only peanuts, natural flavors and natural sweeteners, making it both lactose free and gluten free, as well as vegetarian friendly. What is the benefit of Peanut Protein and how is it multi-purpose? Peanut butter flavors are always top sellers in the protein bar and cookie market. As a shake, peanut butter tends to be a favorite as well. While we could have easily formulated a great tasting peanut butter flavored whey protein, our goal was to be the first to offer a peanut protein powder, made exclusively from peanuts and natural ingredients that tastes incredible, has multiple uses and could benefit most any consumer. With Jamie Eason’s Peanut Protein Powder, we are excited to offer a product that can be used as a spread, a topping, or a shake and that will give you all of the protein you need with less of the fat. What is the best way to use the 3-in-1 Peanut Protein? While the peanut protein powder was originally formulated with a shake in mind and as a meal replacement, it proves to mix equally well in smaller portions as a spread or a topping and even works well for cooking and baking. With our great tasting 3-in-1 Peanut Protein, you’ll get the natural peanut flavor that you want, with less fat and often less calories. When it comes to applications and how you choose to eat or drink your peanut powder; the only limit is your imagination. Is Jamie Eason’s peanut protein vegetarian friendly? Yes, it’s made with natural ingredients such as defatted peanut protein, monk fruit, organic cane sugar, and stevia. There is a trace amount of milk flavor present in one of the natural flavors used, but it’s completely lactose free, gluten free, and vegetarian friendly. WHAT'S IN PEANUT PROTEIN BY JAMIE EASON? Specially Filtered Partially Defatted Pure Roasted Peanut Protein, Natural Flavors, Organic Cane Sugar, Xylitol, Xanthan Gum, Salt, Monkfruit Extract, Stevia Leaf Extract. 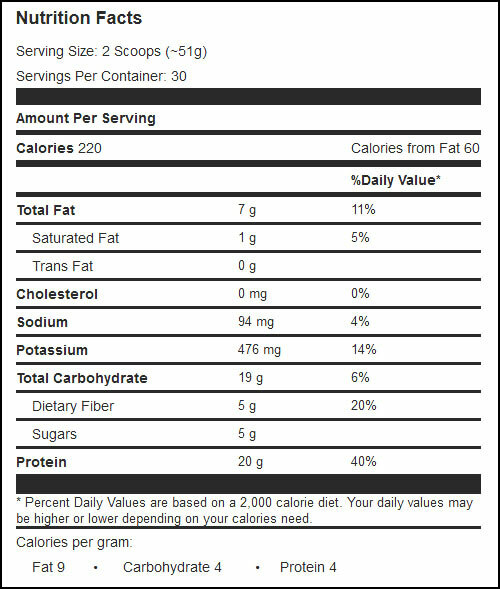 Allergen Information: Contains Milk, Peanuts, Soy (Lecithin). 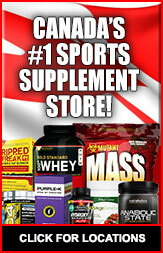 Shake: Mix two scoops (51g) in 4–6 oz. of cold water, skim milk, or your favorite beverage in a shaker or blender. Spread: Mix 2 tbs. of powder with 1 tb. of water using a spoon to make a peanut butter spread. Topping: Add as a topping to oatmeal, yogurt or your favorite snack (add tablespoons to desired taste).